Well this was it. My first ever solo wild camp. 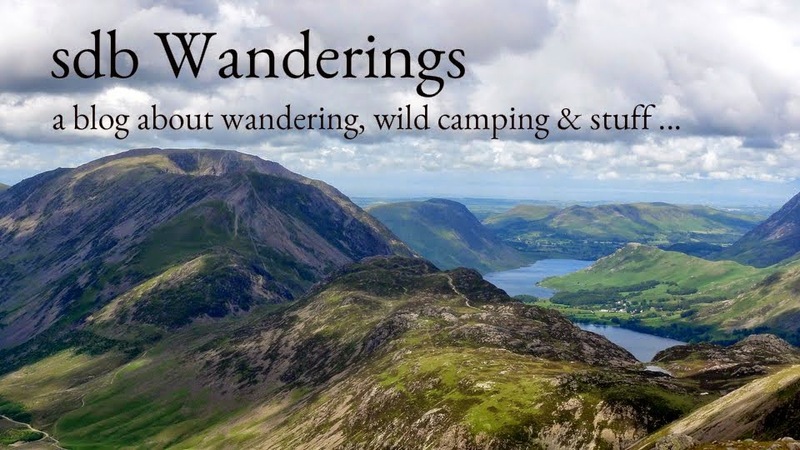 After hiking in the lakes for many years and reading about the merits of wild camping in magazines and blogs I had finally decided to bite the bullet and give it a go. I too wanted to experience the tranquility, the glorious sunsets, the star studded skies and to be up there to watch the sunrise. I wanted to have a high summit all to myself for a night and appreciate the fells from a different perspective. It all sounded perfect. I had been researching the necessary kit for the past few months. The tent had finally arrived and been pitched in the garden a few times. The many mat and down bag options had finally been whittled down. The multitude of stove & pan options had been considered, reconsidered and finally purchased. All the kit was ready and I had a planned date and route. It was now just a case of nervously watching the weather forecast. I had planned to climb Scafell for the first time and camp on the summit. I had climbed Scafell Pike, Crinkle Crags & Bow Fell many times and glimpsed over at Scafell longingly. I also wanted to climb it from Eskdale which was another region unfamiliar to me. As Friday approached, the forecast was good so I packed my rucksack and headed off. I parked near Jubilee bridge at the bottom of the Hardknott pass and set off along the river Esk. 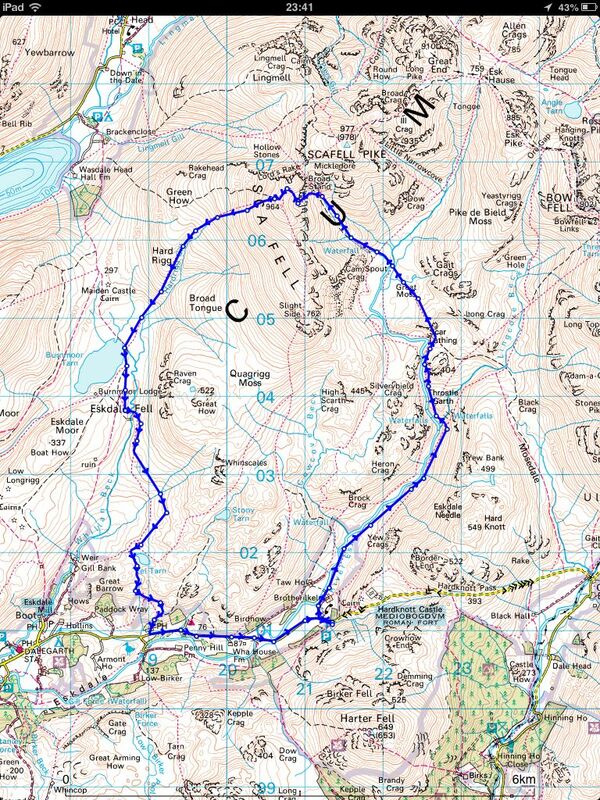 This is great walkers territory; expansive views, high fells all round and a real feeling of solitude. The path followed the river until Lingcove bridge where it is joined by Lingcove beck. I crossed the bridge to continue following the course of the Esk up a steep path by waterfalls. As the path emerges from the steep gully under Throstlehow crag you are rewarded with the first views of the Scafell range. Beyond the crag the landscape opens up into the wide expanse of Great Moss, a large area of flat grassland near the headwaters of the river Esk. The ground is quite boggy underfoot and criss-crossed by many small streams. There is a real feeling of wilderness here. Despite nestling in a hollow surrounded by many of the highest and most magnificent fells in the region, Great Moss is a remote area and I didn't see another soul as I picked my way across the plateau towards Camspout gully & my path upwards. From the top of Camspout gully the path continues upwards but before reaching Mickeldore I bared left and climbed the boulder strewn Fox's Tarn gully, one of the classic routes between Scafell Pike and Scafell. At Fox's Tarn (which was more of a puddle than a tarn today), the path turns right and winds up a steep section of loose rock and Scree before emerging on the summit ridge. I found a flat grassy area about 30 meters west from the summit and made camp. Having carried the Scarps cross-poles I decided to use them (newbie's piece of mind) but of course they were not needed. My first wild camping meal was a peppered sirloin steak & mushrooms fried in olive oil and served with a tomato salad, eaten while sat watching the sun setting over Wast Water. This was exactly how I imagined it would be. I was so pleased with everything so far, I forgot to take the obligatory sunset picture. I didn't sleep too well, mainly because I was still buzzing at having 'popped my wild camping cherry', the relief of having been lucky with the weather and the anticipation of tomorrows exploits. As soon as it was light I brewed up, made some breakfast and walked up to the summit to watch the sun rising over Bow Fell. This time I remembered the camera. 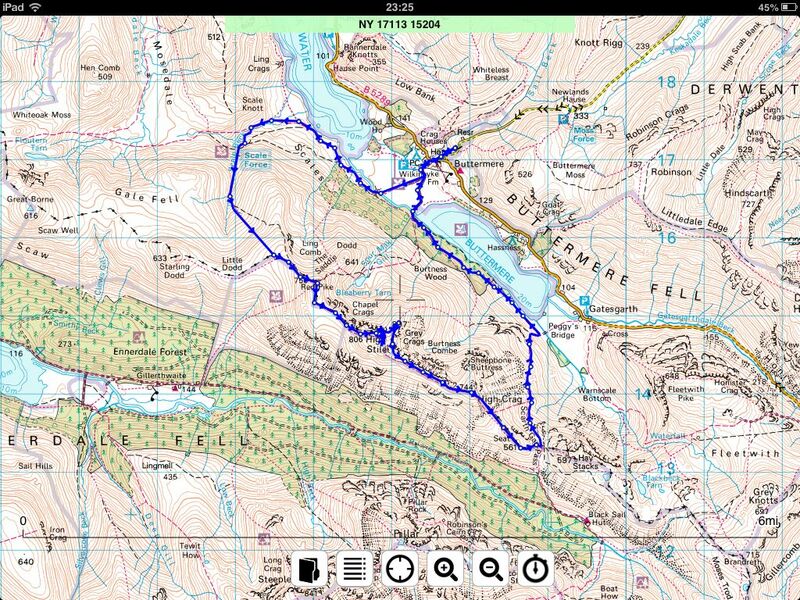 After breaking camp I headed down to Burnmoor tarn and then along to Eel tarn. It wasn't until I was nearly back on the road that I saw the first people since leaving the car yesterday. This is truly an area of wilderness. The wild camping bug was now well and truly bitten. While plodding along the road back to to the car I was busy pondering the next trip.